Columbia firefighters extinguished a house fire on Anwood Drive on Tuesday. 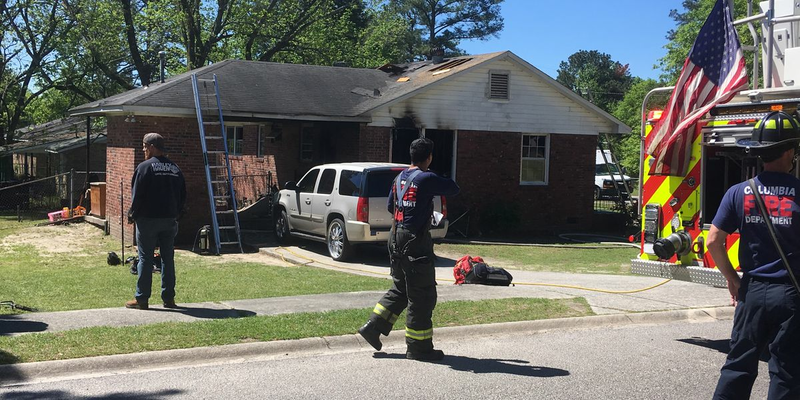 COLUMBIA, SC (WIS) - Crews with the Columbia Fire Department battled flames at a home on the 3700 block of Anwood Drive. Firefighters were called to the home around 11 a.m. Tuesday and were able to put out the fire. Investigators later determined the cause of the fire was cooking related. Two adults and three children have been displaced because of the fire. Officials also confirmed no one was injured. However, an estimate on the damages caused by the fire is not available at this time.